Located in the Caribbean, the Dominican Republic shares the island of Hispaniola with Haiti on the west and is the second largest Island in the Caribbean, following Cuba. The Dominican Republic has some of the most beautiful beaches in the Caribbean. 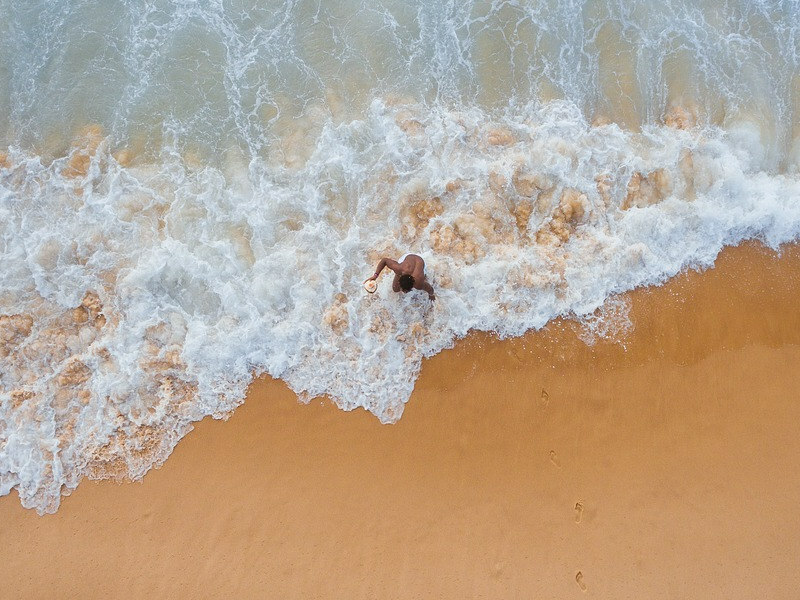 Whether you are looking for a beach where you can relax at an all-inclusive resort, a secluded and undeveloped stretch of sand to get away from people and civilization, or something in-between, the Dominican Republic has it! It is no surprise that its a popular destination for weddings and honeymoons. On the north side of the island, endless soft-sand beaches line the coast. Some of these are surfer havens and kite boarding destinations, others offer tranquil retreats for swimming and snorkelling. This is not only a list of the 10 best beaches along the north coast of the Dominican Republic but also includes food, accommodation and transport costs along with visa requirements. Punta Rucia is a beautiful resort town located in Puerto Plata on Dominican Republic’s north eastern coast, with a gorgeous strip of ivory-sand beach. All in one afternoon, you can grab lunch at an ocean-side restaurant, relax on the beach, take jet ski’s out further down the beach, and top it off with some snorkelling. Paradise Island is a coral islet (very small island) located off the coast of Punta Rucia. It is difficult to tell the size of this island because it shrinks and expands depending on the sea currents. Of incredible beauty, this little island is plunged in such a gorgeous landscape that you may think that you are in a dream. Imagine being on a small island lost in the sea surrounded by white sands and crystal-clear waters. At a cost of about R250, you can rent a boat from Punta Rucia which will take you on a 20-minute scenic boat ride directly to Paradise Island. Playa Bonita is located in Las Terrenas, which is the perfect blend of a dreamy beach village and a cosmopolitan town. This long, thin stretch of perfect sand and clear water in a thousand shades of blue and is one of the Caribbean’s top beaches. Among sun lovers, it’s a very popular travel destination because of the many snow-white beaches, fun beach bars and azure blue waters. Playa Punta Popy is also located in Las Terrenas. You can visit the picturesque long beach that encompasses everything from fun and games to peace and quiet. Playa Punta Popy is the social and water sports beach hub of Las Terrenas so you can enjoy your afternoons resting beneath the palms on the main strip, where you have bars, restaurants, and water sports businesses at your disposal. 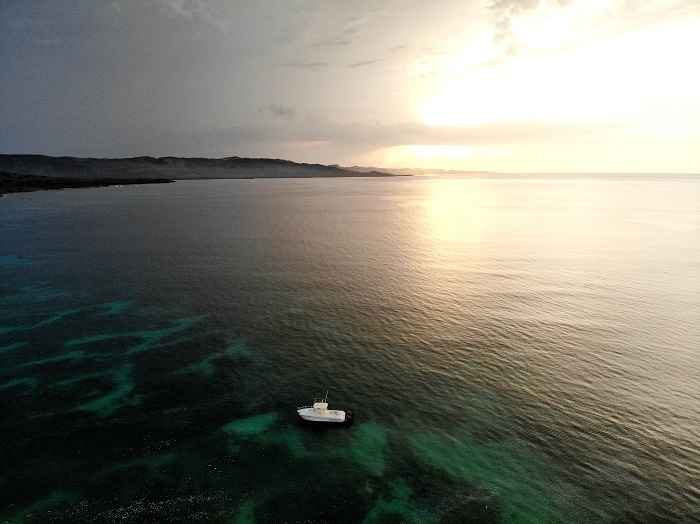 Las Galeras is a small remote fishing village and is home to a handful of the Dominican Republic’s most beautiful beaches, including the world-ranked Playa Rincón. It was rated as one of the 10 Best Beaches in the World by Conde Nast Traveler. The white sand beach stretches about 4 kilometres and remains very secluded, far away from any resorts or hotels. One of the best ways to get there is by renting a Jeep or with an ATV Four Wheeler vehicle to ride on the less-than-perfect roads leading to this piece of tropical paradise. 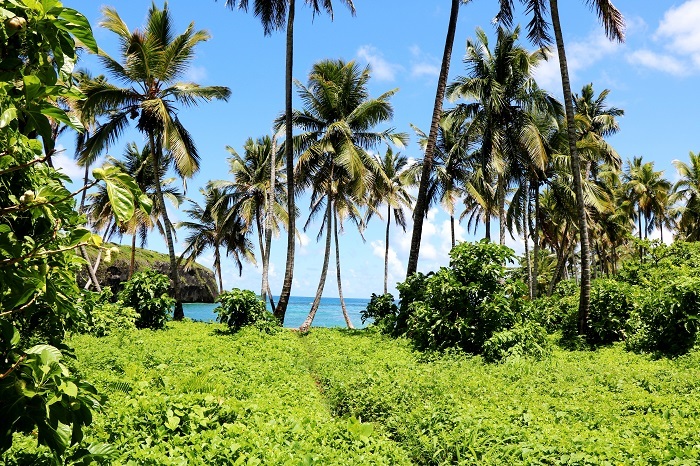 This beautiful beach is also situated in Las Galeras. 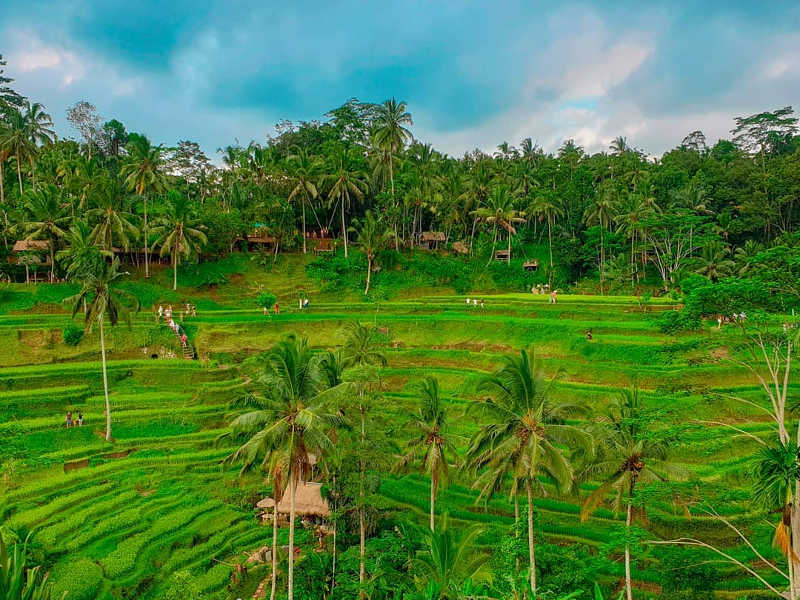 Its charm is mainly due to its isolation from civilization, since you must go down along a steep slope to reach it, full of rocks and vegetation that gives the beach a jungle environment. Another way you can get to Playa Madama is on a 15-minute boat ride from Las Galeras. Long Beach is located on the Dominican north coast in Puerto Plata and is the main beach of the bustling port city. Due to its good accessibility and central location, this beach is very popular especially in April and December and on weekends. 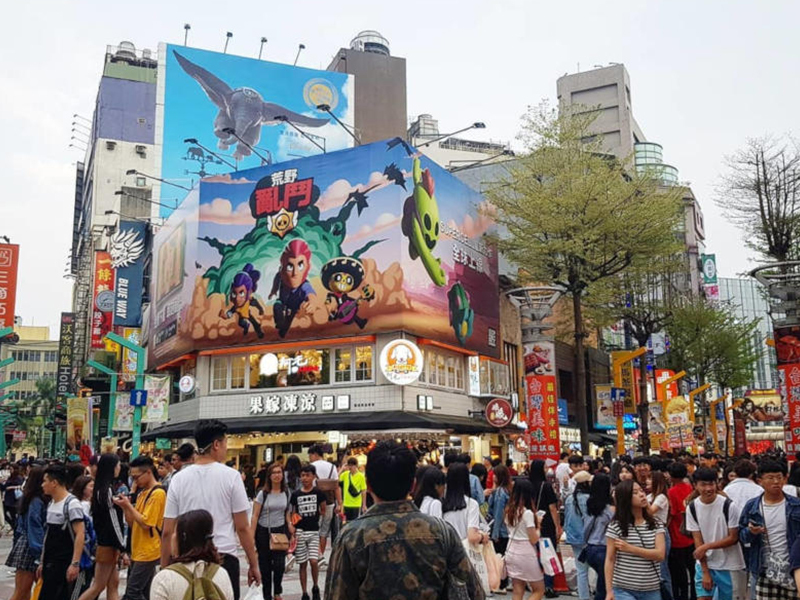 It fills up with local families but also with foreign tourists who bring a lively atmosphere. Sosúa is a resort town located in the Puerto Plata Province and has a thriving social scene with a great fusion of Latin and Western vibes. It’s a relatively small and walk-able town, known for its beach, offshore coral reef, tropical fish and night life. Bars, lounges, and nightclubs lining the street continue late into the night. Cabarete is the Caribbean aquatic and adventure sports centre and is located 15 kilometres from Sosúa. It is a good place to practise free-diving or scuba diving. The underwater world will leave you in awe with its dreamy shades of blues, sea gardens and colourful ocean life. Cabarete was discovered by the Canadian windsurfer Jean Laporte claiming it as a perfect place to wind surf. 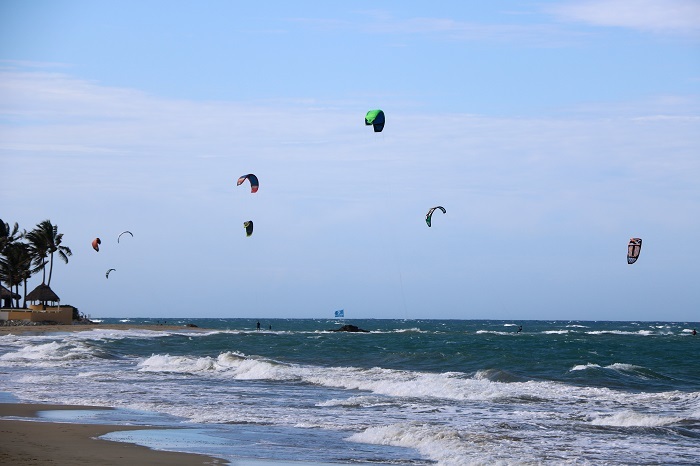 Therefore, Kite Beach in Cabarete is a dream location for kite, board and wind surfing. 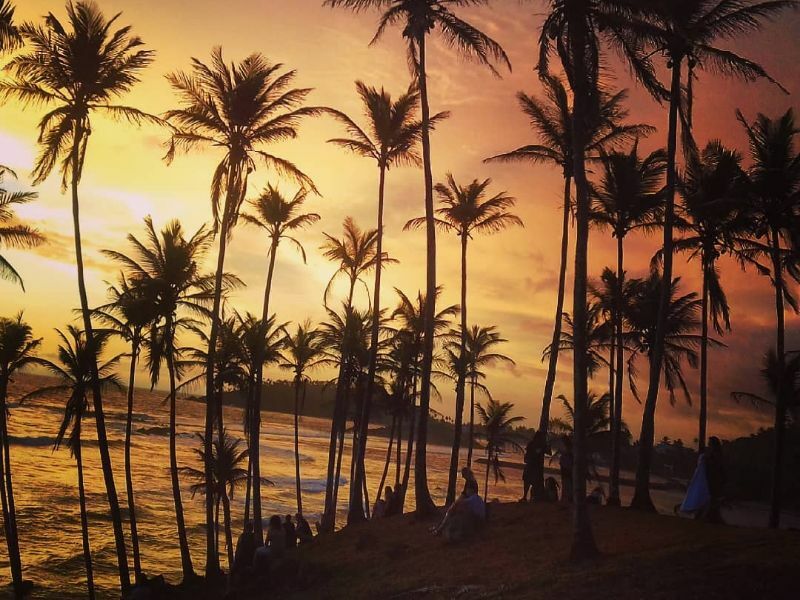 The Dominican Republic caters for most needs and budgets and there’s also a lot of happy hour specials offered at restaurants to watch out for depending on the town and day of the week. The cost of accommodation can vary depending on your budget of course, expect to pay the following prices. Private taxis are often well overpriced and the best option (if you’re feeling adventurous) for getting around on short distances is using motorbike taxis. Generally, expect to pay around 50 pesos (R14) for a ride around town. South African passport holders are not required to apply for a visa prior to visiting the Dominican Republic. There are no special requirements for the Dominican Republic; no vaccine certificates are needed. Malaria is present but not a high risk. So, what are you waiting for? Book your flight to the Dominican Republic and get ready for an adventure of a lifetime!